History-making multi-Platinum Dallas, TX artist Post Malone, will play an exclusive show at Barclays Center on Saturday, December 29th. Malone will perform hits such as “Better Now,” “Psycho,” and “Rockstar,” from his RIAA-certified Platinum album, Beerbongs & Bentleys, which was released in April 2018.
and can be purchased online at ticketmaster.com, or by phone at 800-745-3000. Tickets can also be purchased at the American Express Box Office starting Saturday, September 22nd at noon. American Express Card Members can purchase tickets before the general public beginning Tuesday, September 18th at 10 am EDT through Thursday, September 20th at 10 pm EDT. 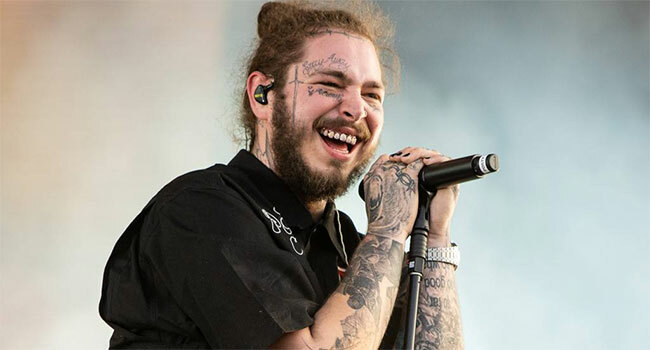 Malone skyrocketed to fame after the release of his 2015 viral hit, “White Iverson.” The single which is RIAA 5X Platinum was followed by his first studio album, Stoney, released in December 2016, which has since been certified triple platinum by the RIAA. In August, Stoney appeared for its 77th week on Billboard’s Top R&B and Hip-Hop Albums chart, breaking Michael Jackson’s 34-year-old record for the 76 weeks that Thriller spent on the chart. To date, Post Malone currently has two of the top 10 best-selling Hip-Hop album of 2018, Beerbongs & Bentleys and Stoney.